I remember when I first started wearing lipstick that I thought sheer lipsticks were a bit of a waste of money. I couldn't understand why people were paying for a lipstick which doesn't have a full colour payoff until I discovered these beauties. Sheer lipsticks are the perfect excuse to pull off darker, more daring shades without looking overdone. I don't think I could pull off a full red lip during the day but I have no problem with a slightly more sheer alternative. When the Boots 3 for 2 offer is on, you have to go on a little crazy shopping spree, it is the rule! 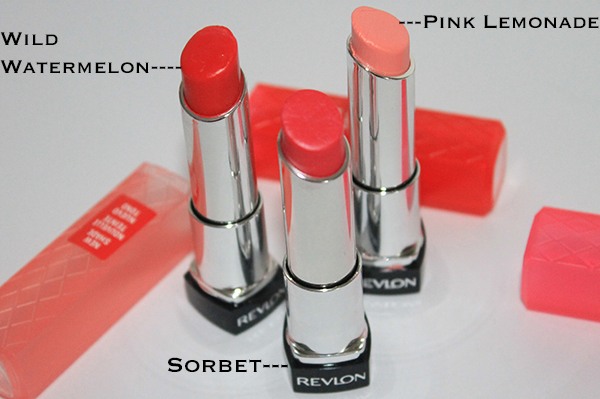 The Revlon Lip Butters have been raved about for so long and usually I wait until the hype has died down before trying out the latest trend but these products are still going strong. I decided to go for 1 pale shade and 2 more daring shades to start off with: Pink Lemonade, Wild Watermelon and Sorbet. Coincidently they were all the newer shades in the collection. Usually the paler shades are the safest option for me but sadly Pink Lemonade and I didn't get on. Although it would usually be my colour of choice, it made me look completely washed out and ill looking, perhaps suited to someone a little more tanned than me. 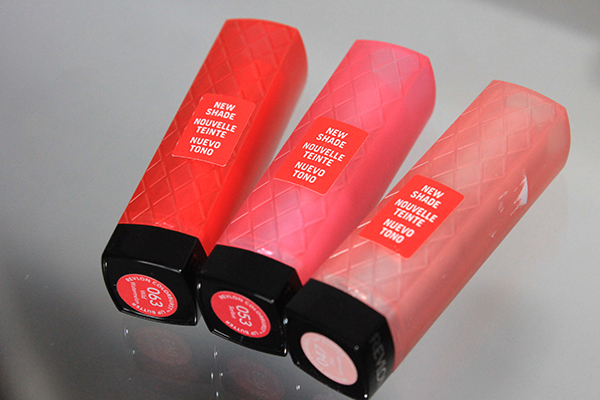 Next is Wild Watermelon, the shade that sealed the deal. I'd describe it as a sort of pinky red, basically the colour of watermelon! The colour is extremely pigmented and it glides on so well, If you were to pick up any shades I'd highly suggest this one. Sorbet isn't too far off from Wild Watermelon but has a much more fuchsia tone to it, if you're more of a pink person then this is the one for you. All in all I'd really recommend you try the Revlon Lip Butters, I think they're a great way to introduce colour into your makeup routine and the bright colours are absolutely perfect for Spring/Summer. Though from my experience, stick to the deeper shades! If you have any recommendations on other lip butter shades, please let me know! Good to know! I've been curious, stopping by the display every time I see them, but unable to make up my mind as to which to try. I will pick up the Watermelon one next time! I love lip butters as they deliver great colour whilst keeping your lips soft! forward to reading more on you blog.